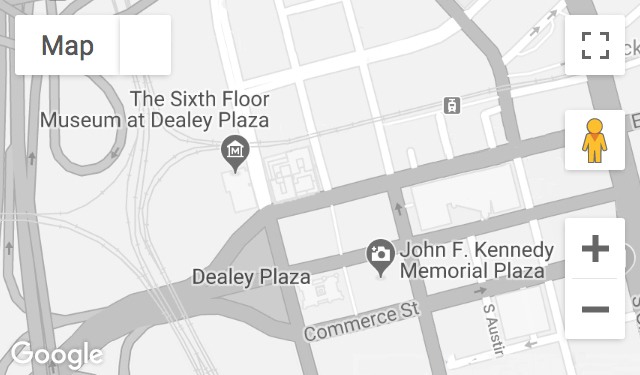 February 23, 2011 | 7:00 p.m. - 8:00 p.m.
To commemorate Presidents Day, The Sixth Floor Museum at Dealey Plaza is collaborating with SMU’s Tower Center to reflect upon a transformative period in United States history. Moderated by Dennis M. Simon, Professor of Political Science at Southern Methodist University, panelists discuss how Presidents Kennedy and Johnson responded to landmark events of the era and will consider the ways their decisions continue to influence each president’s evolving legacy. Panelists were Alan C. Lowe, director of the George W. Bush Presidential Library; Sidney M. Milkis, Professor of Politics and assistant director, Miller Center of Public Affairs at the University of Virginia; Mark K. Updegrove, Director of the Lyndon B. Johnson Library & Museum.